When selling a home in Massachusetts, it is always good to know exactly what you are going to come away with at closing. Real Estate surprises are never fun. Most homeowners know that the sales price of their home less the mortgage balance will give them an idea of what they can expect. 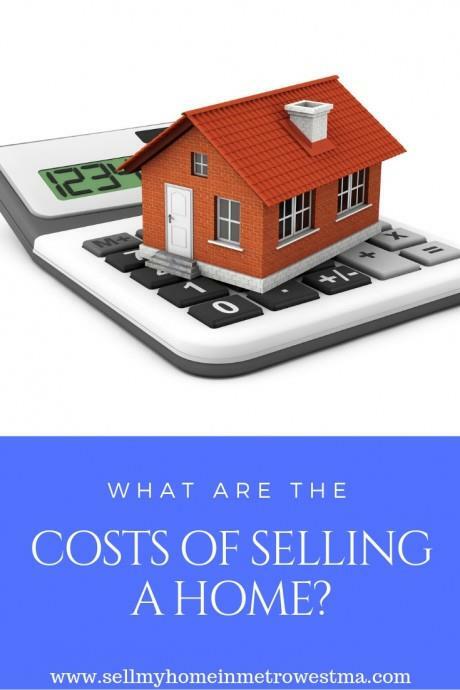 However, there are some other costs of selling a home. Below is a recap of what you can expect. As a Realtor representing many homeowners selling their homes over the last 31+ years, it has come to my attention numerous times that many people are unaware of the tax on selling a home in Massachusetts. This cost is known as Massachusetts tax stamps or the Massachusetts property transfer tax. This tax is levied on the sale of any home sold in the Commonwealth of Massachusetts. Presently the tax rate is 4.56 dollars per thousand. In other words, if you sell a home for $500,000 your tax would be $4.56 x 500 for a total cost of $2280. When you have certain expectations for what your check will be coming from a closing, a shortfall of $2280 would not be a pleasant experience! It is also worth noting that in Barnstable County the tax rate is 5.70 per thousand so the cost involved with selling a property is a bit more. The Dukes and Nantucket Counties also charge an additional 2% of the sales price that gets paid to the local land bank commission. This is one of the most significant expenses a homeowner would have when selling their property in Metrowest Massachusetts aside from paying a Real Estate commission. Some of the other expenses in selling a home in Massachusetts will be a Title V Septic inspection if you do not have town sewer. The typical cost for a Title V inspection runs between $600 - $900 depending on how easy it is for the title V inspector to get to the tank and distribution box. This cost would also include the pumping fee. Most of the time the system gets pumped at the time of the Title V inspection. Remember that a Title V septic inspection is good for two years. It can also be extended a third year if you pump the system in all three years. Other costs include hiring an attorney to represent you in negotiations on a purchase and sale agreement or attending the closing. Legal representation can vary quite a bit. As a general rule of thumb, the costs for legal representation in a Real Estate sale can range anywhere from $300-$1500 depending on the scope of work. Having a lawyer represent you is never a bad idea. Realtors are NOT allowed to counsel buyers and sellers in legal matters. If you are unsure of something in a purchase and sale agreement, a Realtor is not supposed to give you legal advice. More often than not the buyer purchasing your home will have legal council and there will be changes made to the standard agreement. Some of the smaller miscellaneous expenses include a smoke/carbon monoxide inspection which usually runs around $25, and recording the new deed at the registry which is typically approximately $125-$150. One crucial point about smoke detectors worth mentioning is the fact that if you need a repair to an old detector, you may have to upgrade ALL the detectors in your home to a newer model. There will also be some minor miscellaneous costs for mailing, filing fees, etc. that will be added to your HUD settlement statement at the closing. These charges include overnight mailing, courier services, wiring fees, charges for processing mortgage discharges, and recording fees for recording various documents at the Registry of Deeds. These costs will usually amount to a few hundred dollars. Lastly, don't forget the costs involved with hiring a moving company if you choose to do so. Miscellaneous HUD settlement charges including recording fees, wiring/courier charges, and mortgage discharges. Considering selling your Massachusetts home? Check out these Real Estate articles below. If you are also going to be buying a home, make sure you don't forget the Massachusetts home buying costs. This guide will take you through from start to finish carefully explaining all of the expenditures you will make as a buyer when purchasing a home. Some of these expenses are optional while others are a standard part of a real estate transaction. Are Zillow home value estimates accurate? If you are going to be selling your home, do not under any circumstances believe for a minute that a Zillow estimate of value or "Zestimate" as they call it is an accurate evaluation of your homes real value. Top ten mistakes to avoid when selling your Massachusetts home It is effortless to make mistakes when you are selling a home. Use this article to make sound decisions when you are selling what is probably your largest asset. Real Estate Interview Questions for Realtors Asking great real estate interview questions is a crucial component to picking an excellent Realtor. Make sure you take the time to ask the right questions when you are selling your Massachusetts home. Servicing Real Estate sales in the following towns in Metrowest Massachusetts: Ashland, Bellingham, Douglas, Framingham, Franklin, Grafton, Holliston, Hopkinton, Hopedale, Medway, Mendon, Milford, Millbury, Millville, Northborough, Northbridge, Shrewsbury, Southborough, Sutton, Wayland, Westborough, Whitinsville, Worcester, Upton and Uxbridge MA.